Easter this year falls on April 21st, which is almost as late as it can be. The date of Easter was set by the Council of Nicaea in 325 CE, and it was tied to the lunar calendar. It was determined that Easter would be celebrated on the first Sunday after the first full moon after the vernal equinox (March 21st). That means that the date of Easter Sunday can range anywhere from March 22nd to April 25th. The last time it fell on March 22nd was 1818, and it won’t happen that early again until 2285. The last time it fell on April 25th was 1943, and it won’t happen that late again until 2038. Keeping track of time in the church is important. The seasons and festivals of the church year provides a rhythm for our lives together. And we mark those seasons with special worship services and celebrations in our church. And – maybe this is just me – but I feel all out of whack when I miss marking one of those celebrations. I feel like I’m off balance, or just plain missing out on something. All of this is to say, during Holy Week we work hard to provide some extra-meaningful worship services that mark some special times in our Lord’s life. Mark these events on your calendars now, and be sure that you come. I promise it will make the Easter celebration that much more meaningful! April 14th – On Palm Sunday, we ritualize Jesus’ entry into Jerusalem. So, be sure you’re at worship at either 8:00am or 10:30am. April 18th – On Maundy Thursday, we commemorate the institution of the Lord’s Supper and we follow Jesus’ example of humility and service by washing one another’s feet (if you want). Worship will begin at 6:00pm. 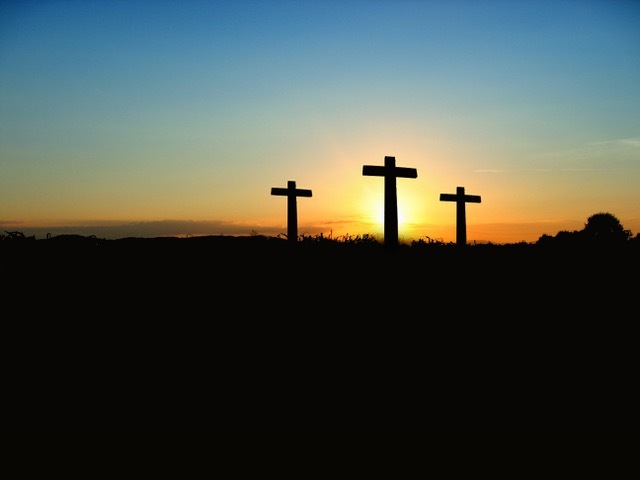 April 19th – On Good Friday, we read and remember the passion story in its entirety, and marvel at the length God has gone to show us love, mercy and salvation. Worship will begin at 6:00pm. April 20th – On Easter Eve, we hear some of the greatest stories of the Old Testament which all testify to God’s consistent action of bringing life out of death; light out of darkness; hope out of despair. We begin this evening with a meaningful and delicious meal at 5:00pm, and the interactive, immersive worship service begins at 6:00pm. Please note that space is limited for this worship service. See Mandy’s article in this newsletter for more information on how to sign up. April 21st – On the Day of Resurrection (a.k.a. Easter), we celebrate the Lord’s victory over death and the grave. Join me for a short 30-minute SONrise worship service at Greenmount Cemetery at 6:30am. Or come for some celebration services at Christ the King Lutheran Church at 8:00 or 10:30am. Easter Brunch will also be served in the Community Hall this day from 8:30am-10:30am. I hope you’ll join us for these worship services this year. They’re going to be great.